The first ISMT spark was lit in the Caribbean country of Guyana in April 2018 when BCM’s children’s ministry training program was introduced to hundreds of its church leadership (see Celebrating Easter with God’s People in Guyana, BCM World, Spring 2018). 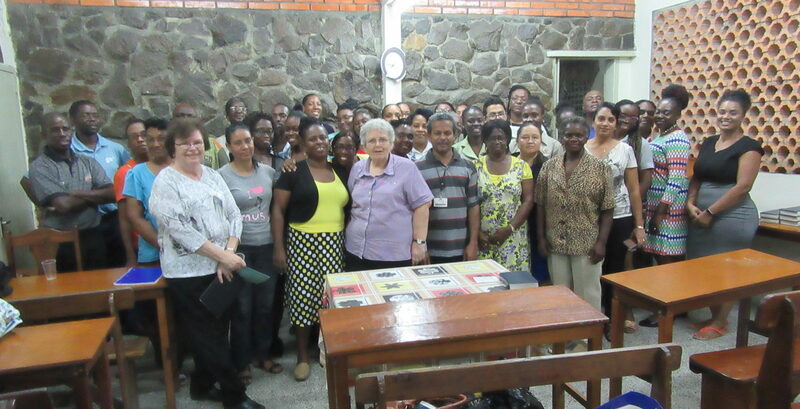 In response to a plea for additional training, BCM missionaries Pat Black and Barb Van Valkenburg traveled to Georgetown, capital of Guyana, to teach the entire twenty-two-hour In Step with the Master Teacher program over the course of three weeks. 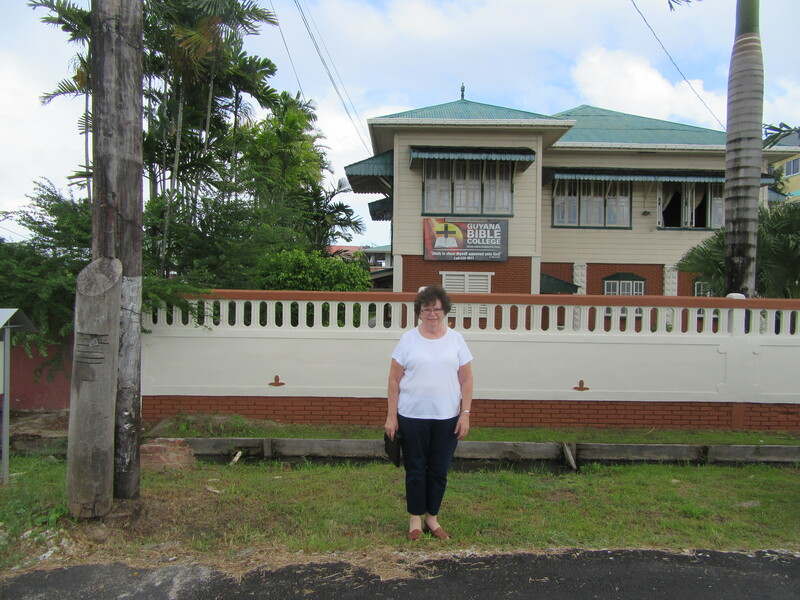 Met by BCM missionary Stan Boodie, Pat and Barb were escorted to Guyana Bible College, where Stan and BCM Guyana national director Ron Charles administer and teach. The Bible school holds classes for three months per year, enabling students to earn a Bible degree over the course of several years. 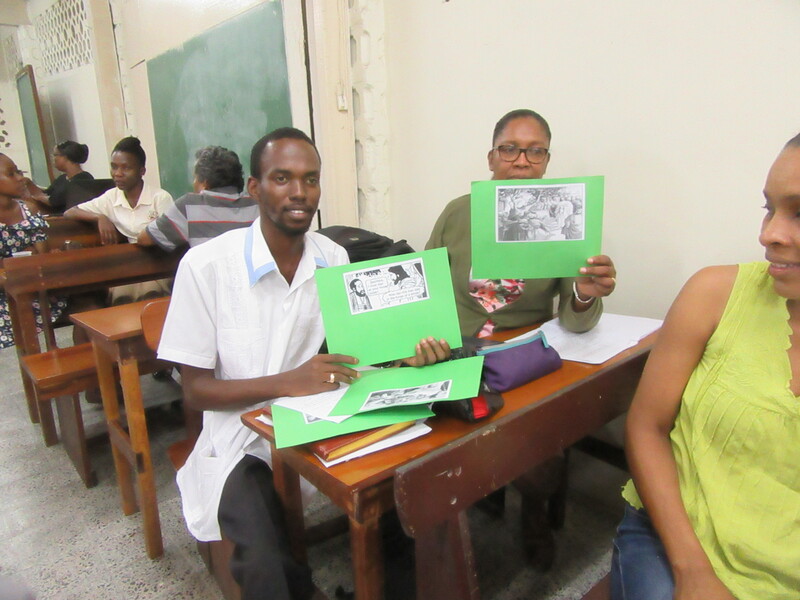 The Guyanese students came from a variety of churches across Georgetown and ranged widely in age and experience, some having never taught a Bible lesson before while others had years of practice. Pat and Barb taught through all twenty-two sessions of ISMT, covering a variety of topics including preparing Bible content, teaching Bible memory verses, and involving the senses. Every session is designed to be interactive and immediately applicable. During the day, Pat and Barb also taught the more in-depth course Train the Trainer to BCM missionary Stan and another ministry leader. This will enable them to lead future ISMT trainings in Guyana without the need of expatriate trainers. 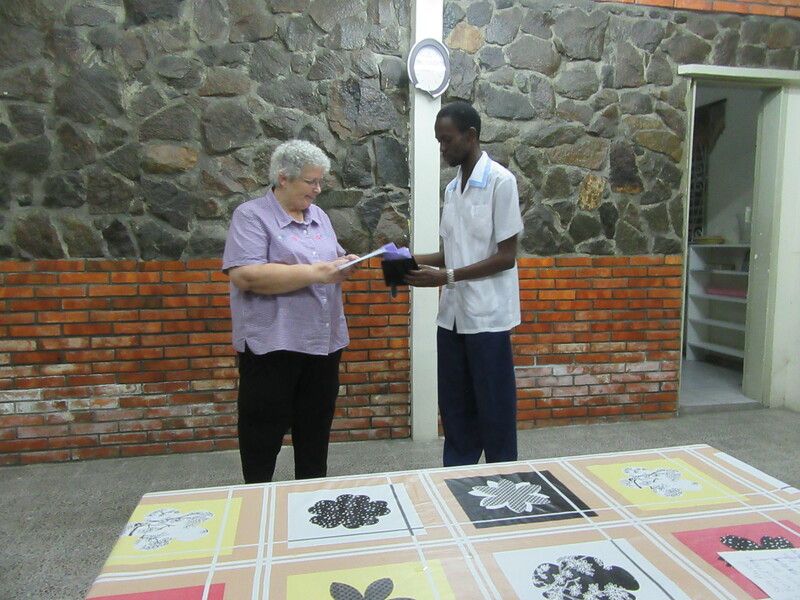 During the ISMT sessions, everyone was tasked with preparing their own Bible lesson complete with memory verse, review game, and song to go with it. On the last Monday, they were to bring a prepared visual to use in their practice teaching and explain how to use it. Creativity was on display. One particular student who had never even taught before arrived with a visual made up of empty tin cans and coconuts for a lesson on Jesus healing ten lepers (Luke 17:11-19). 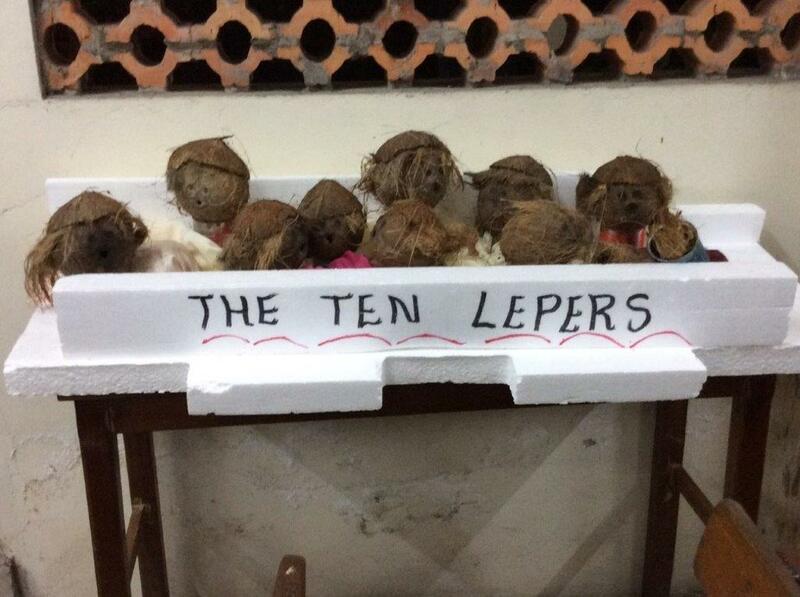 She had used markers to make faces on each coconut, then placed them on top of the empty cans, to represent the heads and bodies of each leper and Jesus. It was an excellent illustration of what ISMT curriculum emphasizes—teaching children’s ministry leaders to create lessons with only the Bible and what is around them instead of relying on expensive purchased or imported visuals. For years I wanted to teach, but I didn’t know how. You have given me the skills to get started. I have always tried to teach everything I knew in one lesson, but I have learned the importance of teaching one Bible truth per lesson. I’ve been to many seminars and thought I knew everything. I’m ashamed to say I don’t know as much as I thought I did. I hadn’t realized how differently children learn from adults. I have been particularly challenged to meet the needs of students with intellectual disabilities. We need to invest in our Sunday schools and ask our pastors for resources. The spark ignited in early 2018 is now a full-fledged fire in the hearts of Guyana’s newly-equipped children’s ministry leaders. Train the Trainer graduates look forward to offering ISMT to even more churches located in Georgetown as well as additional areas around Guyana. 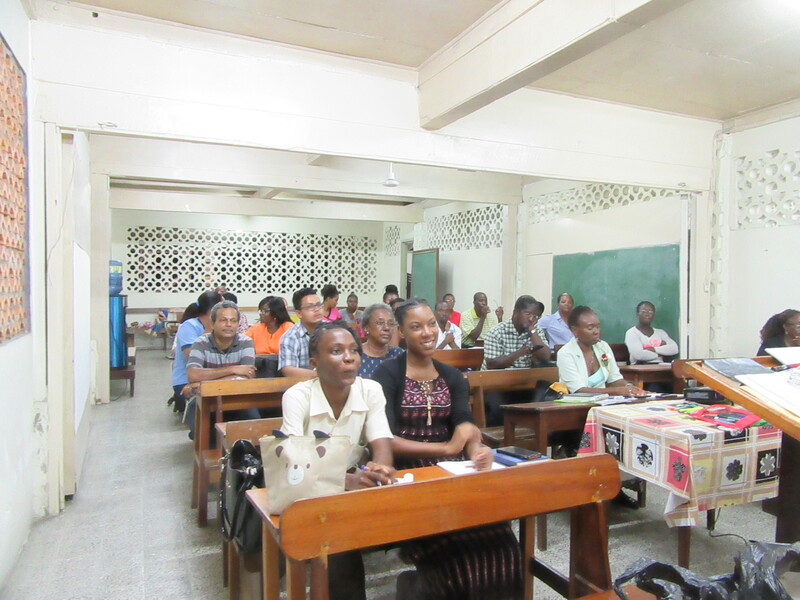 By 2020, BCM missionaries Stan Boodie and Ron Charles anticipate offering ISMT as a course at Guyana Bible College.